With more people conducting business online, it's no wonder companies are scrambling to keep up with the latest technological innovations. With online purchases increasing by 23 percent within the past year, it's crucial to keep websites fresh and interesting. While there are many ways to do so, here are five of the most important website innovations needed for success. Now seen as the standard architecture for websites, responsive design refers to a company's website increasing or decreasing in size depending upon the device on which it's being viewed. With more and more online activity taking place on mobile devices such as smartphones or tablets, it's imperative to have a mobile-friendly website. Having at least some experience with digital media can be great for not only your site, but your business as well. It is amazing how much of a difference it can make. In order to grow a business online, it's vital to know how those who visit the website behave while they are there. This is where analytics and metrics come into play, letting a business owner gain access to detailed facts and figures about user behavior and tendencies. By reviewing this monthly, more effective websites can be created. The best websites tend to keep it simple for their customers, which is known as concise messaging. Rather than having long blocks of text that seem to go on forever, great websites use big type and get to the point quickly and easily. As most successful companies know, if they can help a customer get what they want as easily as possible, chances are they will have a repeat customer for many years to come. Perhaps more than anything, websites must have fresh content on a regular basis. As anyone who has an MBA in Technology knows, combining fresh content with the latest innovations is often the key to long-term success. Just like stores used to change their displays on a regular basis, websites should update their content as well. By putting new deals, sales, or other information on the site, plus giving visitors the ability to share your site through social media, you'll be guaranteed to see extraordinary results. To have the most effective website possible, a company must have layered landing pages. Designed to get visitors onto more and more sections of a site, these are often the key to increasing sales and sustaining them over the long-term. By implementing these innovations into a website, there's little doubt a company will be able to stay ahead of the latest trends and beat the competition each and every time. 1. Social media relationship manager: - If you want to build effective and efficient relationship with your social media connections, you need to do more than merely communicating with them. And there is no dearth of tools that can do it for you. There are several social CRM that are available for this role. Some examples would include Nimble, Batchbook, Lithium Social Customer Suite (and there are many more). 2. Mobile update on the go: - With the online dynamics in its current state, it is a common scenario that there is no fixed hour for interaction and marketing plan implementation. So what happens when you are on the go and you require to take prompt action on something? Or even better, you draw inspiration from something you see on the way home for your next brilliant marketing campaign and want to implement it immediately- what would you do? 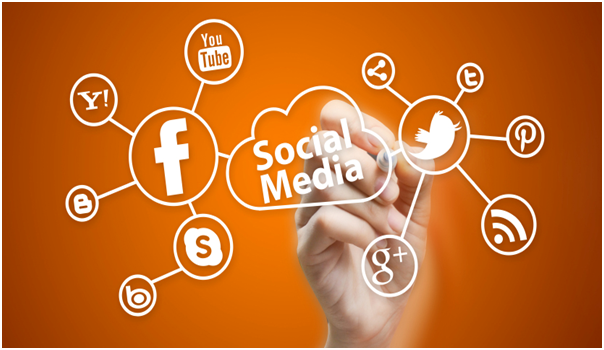 The simplest solution is to utilize tools for social media from a smart device like a smartphone or a tablet. 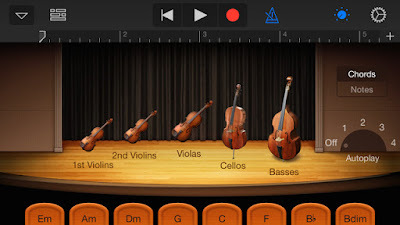 There are applications like Glyder to manage such inspirations. And if you want relevant content search to match your inspiration in life, you could always use tools like Google Current or Flipboard. 3. Pinterest manager: - One of the major areas to impress your audience would be managing Pinterest better. And there are several tools that help you do it in different ways. There are advanced tools like Tailwind which provide with complete management options. In addition to the standard functions that might be common to few other tools, it provides with additional options such as analysis on your chosen competitor accounts, which images are trending and so on. And then there are tools like Pingroupie and Pinvolve that help you grow your audience in an effective manner. And if you are looking to enhance your audience by connecting with popular and huge Pinterest accounts, there are options like Loop88 that do exactly this for you. 4. Social influencer discoverer: - A social media engagement without social influencers on your side is pretty much like an army without its general. For key directional influence on your audience you would always require social influencers on your side. While you may choose to have your own strategy for this purpose, it is always faster and more impactful to utilize a few handy tools for the same. There are dedicated tools for this purpose such as Klout; though launched a while back, it is still really effective. Then there are specific tools like Hey Press to find influential journalists in online media. And there are more tools like Foolwerwonk and Inkybee that cater to different modes of your influencer requirements. 5. Use a great scheduler: -And since the social media is always buzzing, one thing no one can do without is a tool that schedules your social media activity in order to manage all needs. Some of these tools actually work on multiple platforms which is a great boost. So there is Postcron which is great for Facebook, Twitter and Google+ and then there is Sprout Social which, in addition to the previously mentioned 3 platforms, helps you post on Linkedin too. The key is to figure out your specific requirements and opt for a useful tool accordingly. There is always a band of new tools coming up with new features. In order to the 5 kinds of segments mentioned above, you could always get to know about something new and effective for your purpose, such is the dynamism of social media! It is important to know your requirement and form alliance with good strategic partners in execution such as Nuanced Media . A great partner in crime ensures a successful heist, always! The field of information technology (IT) is one of the fastest growing job markets and spans across a wide range of industries. Graduating in this field is an excellent choice as it offers quite a bit of career flexibility and security. Here are four ways the industry is changing, and what is being offered to new graduates as they enter the workforce. Regardless of the type of technology studied, students will use information technology (IT) to store, create, exchange, and analyze data. Those who graduate with a technology degree aren’t limited to computer-based companies, but may find work in software development, health care organizations, and even international corporations. Other industries include manufacturing, government, and financial services. Since every organization relies on an IT support staff, and tech graduates can find work with this kind of degree almost anywhere. The technology industry has historically been dominated by white males, but these demographics are quickly changing as well. 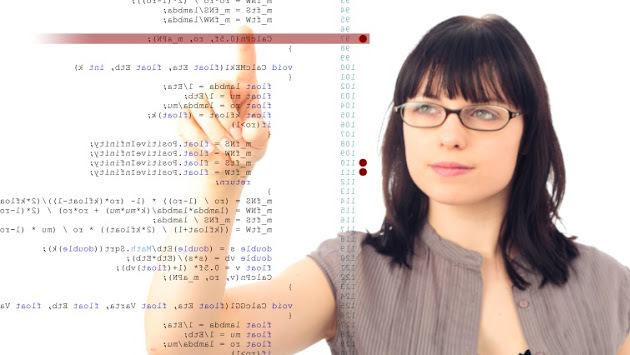 For instance, the IT industry is becoming more welcoming and supportive to female technology graduates. Business decision makers realize women bring unique skills and ideas to technical jobs, and many managers find women tend to be more organized and methodical, and excel at planning projects and analyzing tasks. Other studies have noted that women tend to check their work more carefully than males, which can often result in fewer mistakes. When it comes to the IT world, having greater attention to detail with strong relationship skills is equally important as technical training. As information technology becomes more integrated into engineering fields, tech students are choosing to become engineers. These traditional majors usually focus on civil, electrical, mechanical, and architectural engineering. However, marine, biomedical, aerospace, and environmental engineering are becoming equally popular. Engineering graduates may also go on to become manufacturing engineers and work on improving production design, control, and packaging. Some even become marine engineers and work exclusively on ships and marine facilities. Because engineering is central to economic growth, there will always be plenty of opportunities for tech savvy students. Not everyone that works in the field of health care interacts with patients and the public. There are many exciting careers available in emerging health care fields, such as clinical informatics. This unique job requires knowledge of IT, databases, and health care practices. 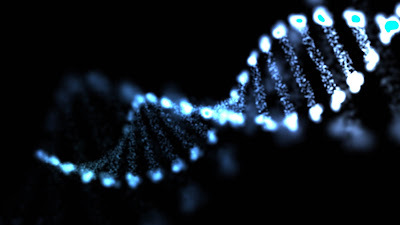 Clinical informatics technicians collect a variety of health care data streams in order to improve patient safety, quality of care, and operational processing. Health care applications analysts review collected data in order to identify patterns and opportunities for improvement between patients and health care providers. Online RHIA programs to become registered health information technicians are a good choice for anyone who wants to work in IT and still interact on a healthcare level. Information technology is driving changes in society and businesses, so there will soon be even more career options available. With the examples listed above as well, many new tech graduates are able to expand their focus and find work wherever they choose to go. A responsive web design is the one that adjusts itself according to the size of the device it is viewed on by users, making it easy for them to view the site without going back and forth or pinching on the screen to view a certain element. Responsive web designs (RWD) are coded by web designers using concepts such as media queries to align navigation elements, videos, audios and images according to multiple screen layouts. The ever increasing use of mobiles has made responsive web design a core component of web designer’s arsenal today. Google too released a responsive algorithm “mobilegeddon” finally noticing the importance of RWD in spring last year, to reward mobile-friendly websites in its search results. Even though the update is in its early stages, it will become a driving force behind the search rankings over time. Just after the release of Mobilegeddon, many business owners moved to the responsive version of their desktop site. This is also called adaptive web design and load separately as a mobile sub type. There are many examples for these kind of sites, like casino.com for instance. It has a mobile version sub-site which you can find here. The content is more mobile compatible and the pages loads quicker so everyone wins. It’s good at ranking well in mobile page search results with mobile friendly in front of every search results. The responsive site designs are flexible, making it easy for the content to move and adjust to different screen resolutions accordingly. The images and grids used are fluid to allow content for filling an allotted space, maintaining its appearance across the different device screens. The primary objective behind the creation of any site is the best user experience. A site with a bad UX results in a decreased user engagement. The responsive web design counters this, offering an optimal user experience, enhancing site’s performance at the same time. 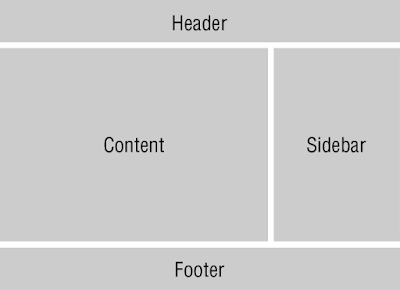 Instead of having two separate sites, one catering to the desktop screens and other to the smartphone screens, you can make your desktop site responsive by implementing media queries with frameworks such as Bootstrap and Foundation. You neither have to pay nor maintain two separate sites, which is an affordable solution for your site. Helps to Get Around Duplicate ContentSearch engines can’t differentiate between two different URLs of the same site, unless specified exclusively. A separate mobile site having the same images and content will be considered duplicate to hurt your rankings. Avoid this through RWD. You can share just one link of your site socially, targeting your audience through one link without worrying about the device they are going to use. Also, this makes it easy for users to remember one URL to your site, instead of typing in mobile and desktop URLs separately for accessing it. The on-page SEO elements such as titles, Meta descriptions, sitemaps, 301 redirects etc, are cut short with a responsive design. You just have to implement them once, instead of worrying about optimizing the mobile site too. In short, a responsive web design rescues you from additional workload and cost, while keeping the user experience optimal with search engine optimization benefits. Go responsive now to start enjoying all the above mentioned benefits that the RWD has to offer. The average cost of a single data breach is almost $4 million, and many security specialists expect that figure to grow in the coming years. For IT professionals who are on the front line of this digital war, here is a look at some trends to keep an eye on in 2016. Attacking well-guarded companies with brute force software is not the most efficient way to gain access to sensitive data. Instead, many criminals are now targeting high-level employees with sophisticated phishing attacks. By gathering information on these execs, criminals will essentially have a master key to all of the company's data. In addition to employee training programs, your company should also invest in real-time scanning and monitoring software. Ransomware is a form of malware that locks down a computer or system until money is paid to the distributor. This type of malware is generally sent through fake emails or hidden in software that looks legitimate. Unfortunately, many people find it easier to simply pay the money than to reset and wipe their entire system. Having an Ottawa IT services professional assess your network security for any vulnerabilities is one of the best ways to keep your network safe from these malicious cyber-attacks. Practically every company is going to migrate at least some of its data over to cloud servers, and this opens the door to a number of new risks. Before choosing a cloud service provider, IT professionals must carefully scrutinize every aspect of the service they’re entrusting their data to. This includes information such as where the servers are physically located, what form of security they use, and what their guarantees are. Employees must also be given specific security protocols to follow whenever they access those servers. The Internet of Things is quickly changing the way we interact with the world around us. While new devices and technology are making us more connected than ever, the IoT is also exposing us to some serious risks. Until we fully understand exactly how this new technology is going to affect our daily lives, IT departments should err on the side of caution. This includes blocking sensitive data from wearable and mobile devices when necessary. It may seem like there are risks around every corner, but many of these issues can be completely avoided with the proper diligence. There is no way to avoid 100 percent of cyber risks, but keeping an eye on current trends will help IT professionals stay ahead of the game. As your business grows, it often becomes worth revisiting the technology choices you made early on since upgrades and updates can often lead to greater productivity and profits. Regardless of your current tech situation, there is always room for improvement and a chance to give your company a technological edge. Here are a few updates to consider when assessing your business's technology. Cloud software vendors can provide you with essential business technology at lower costs by removing or reducing the need for you to manage hardware and software updates. Some areas to look at include customer relationship management software, email, and accounting. The cloud can often offer you all the features you need and additional features through integrations that will make your business run more smoothly and from more remote locations. If your computer makes a weird sound when you boot up or your intercom system is on the fritz, then consider getting your hardware updated or repaired. You might take it for granted, but little issues with your machines can lead to bigger tech problems down the road while repairs can be fairly cheap. If you are in manufacturing or printing, then schedule maintenance to make sure all your machines work right. If you're seeing strange error messages or quirky behavior from some office machinery, then have someone look at it. In many cases, Streamline Circuits say slight adjustments and advanced circuit boards can get you several more years of good use from existing equipment. As your business grows, it becomes harder and more time-consuming to communicate, find information, and share files with your team. Tools like Slack or HipChat can make it easier to communicate by giving you cross-device chatting and online meeting capabilities, better document search, and the ability to share files without using a separate file sharing app. If you're a couple of versions behind on Windows or OS, then you are leaving yourself open to hackers and probably missing out on software improvements that make work easier. Consider updating all your computers to the latest version of your preferred operating system. If new software licenses aren't in your budget, then at least take the time to get all the latest updates and security patches installed. What works for a two-person company won't scale for a two hundred person company. You might be wary of changing your technology, but remember that it’s about preparing for the future. If you want to be bigger, faster, or more profitable, then you'll need to update your technology to match your aspirations. Time is Money for every business, irrespective of whether it is small or large. For management, it becomes imperative to schedule staff roster considering convenience of staff as well as business tasks that needs to be accomplished in the due course of time. The online available Employee Scheduling Software works without asking for registration. The software claims to save time and efforts as well. It does not demand for any additional system specification and works on regular system with standard configuration. Interface: The User Interface of online employee scheduling software is simple and straight forward. Clean look and appearance makes it easy to operate for even first time users. Even those with novice technical knowledge can operate the software without any training. Functionality: Software operates in few simple steps. User need to provide its ‘Username’ and ‘Email Address’. Roster for the next seven days can be made. All it needs is the name of the employee along with their email address. Once details for the schedule are made, schedule is sent to the employees on their email addresses. Projected sales, Labor Percentage and Schedules labor can be displayed at the bottom of the schedule. Initial three alphabets of the employee’s task can be added to the text message. Account reports can be entered and accessed including expenses, sales, operating ratios and labor costs. Phone number details of employees are added under their name on the schedule for quick access. Additional information can be inserted in the scheduled SMS as well as email. The ‘Compressed Layout’ add- on adjusts the height of the graph layout and enables you to access more number of users without scrolling the screen. When an employee logs in to access the schedule, this add-on hides the calculated/ total working hours of the co-workers from the list. Break time can be added to the schedule and the total break hours will automatically be eliminated from the calculated working hours. If the schedule is accessed with ‘Task Layout’, it provides the option to print individual task schedule. This can be accomplished by clicking on name of the task being assigned. Open Shifts can be create by the managers while preparing schedule and this can later be selected by the employee if they wish to pick it. What Else is Offered by ‘Your Next Seven’? Users can browse through the Live Scheduling Stats that provides an overall count of the total users who are currently using the software in their organization. This provides a conclusion over the efficiency and scalability of the software. Once the user logs in to the account, live stats feed can be viewed instantly on the Dashboard and this feature is available in trial version as well. Employee Scheduling Software comes in two different editions. This includes ‘Trial’ and ‘Licensed’ editions. Accessibility to trial version is available for the period of 30 days from the date of registration. 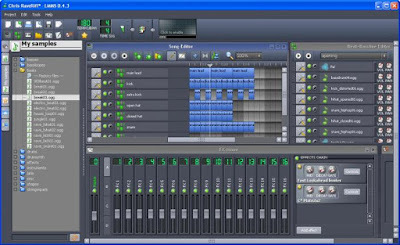 Although, the freeware comes with limited functionality, it provides a straightforward idea over the functional features and efficiency of the software. This provides the ability to access the software without making any initial payment. Availability of free and paid themes is one of the main reasons that makes WordPress so popular for creating websites of all sorts and sizes. However, choosing a pre-built theme often restricts you from making the desired changes to it. That is not to say that you shouldn't consider choosing a WordPress theme, but if you can code it is advised that you should better create a custom theme from scratch. In this tutorial, I'll share with you the basic knowledge of building a simple WordPress theme. Create a sub-folder for your theme within your WordPress folder that can be located at the path: wp-content/themes directory. I've named my folder “new_theme” (you can replace the folder name as you deem perfect). 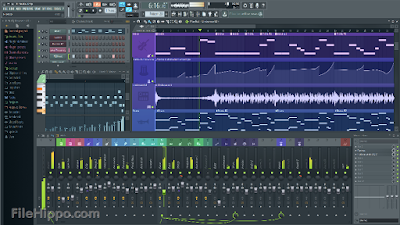 Note: Remember that the name of your theme folder will be same as the name of your theme. You must have basic knowledge of working with an FTP client (such as FileZilla or any other). Lastly, before you begin with the process of theme creation, you must know how the layout of your site will look. And so, you can either choose to create a prototype of your website design or create a PSD to decide the final structure of your site. How Can You Build a WordPress Theme? Almost every WordPress theme comprises of various sections, including header, footer, sidebar, and a few others. style.css – Lastly, the style.css file handles how your theme is styled. All of the files listed above can be created locally using a text editor such as Notepad and others, and then, upload those files via FTP. Or else, just utilize the “File Manager” tool available in your cPanel for creating WordPress files on your hosting account. 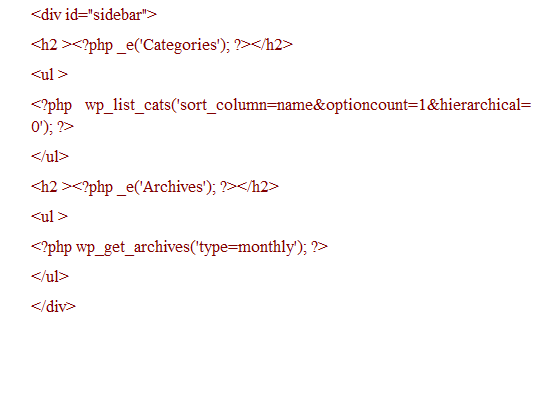 The following line containing PHP code, basically, informs WordPress to load the stylesheet (i.e. style.css). Next, a class wrapper has been added to the beginning of a “div” - that is the main container of the site. 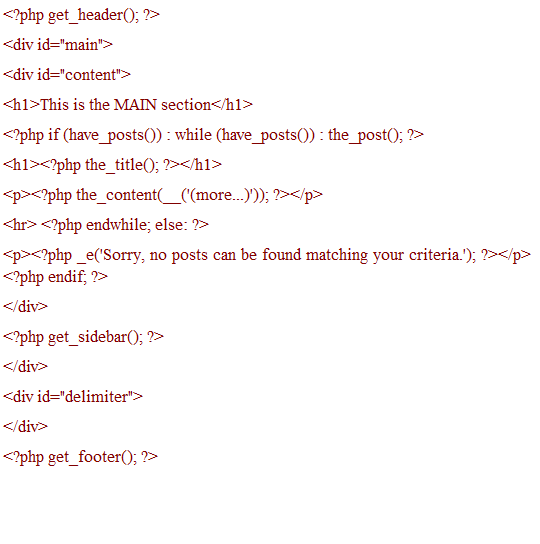 The class is defined so as to modify the header section using the style.css file. Lastly, another “div” container contains a label “header” which will be called in the style.css file. This is a default WordPress function that comprises of the Main Area text to help users identify which exact section of your theme is shown in this area. In the next lines of code, you'll only find some standard WordPress functions that are used to check out if there are any posts in your blog that are created via WP admin panel. If such posts exists, they will be displayed in the admin area. The sidebar file can be used for displaying post categories, archives etc. And an empty “div” is added to segregate the main area and sidebar of your theme from the footer area. 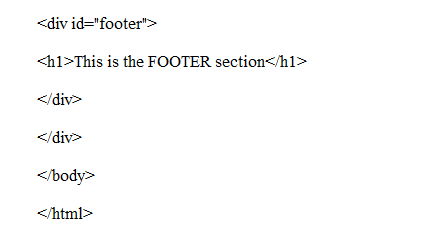 And at last, the below mentioned line of code helps add the footer.php file in the index file. 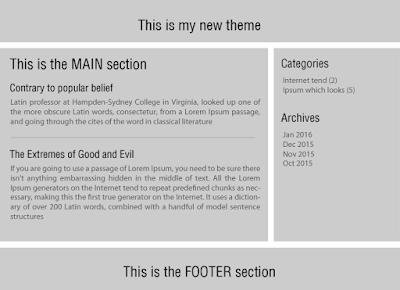 This will help display the contents of footer file in each web page. The sidebar.php file contains information that will be displayed in your theme's sidebar (Also referred to as widgetized region). The code in the sidebar file as mentioned above make use of default WordPress functions for showing the posts categories and archives. 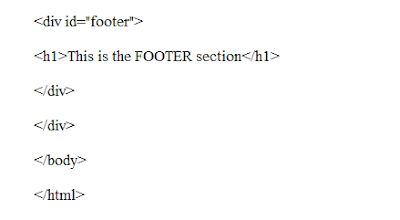 Here in this code, we're just adding a label named “This is my FOOTER section”. However, you can also add data such as additional links, the copyright information, etc. 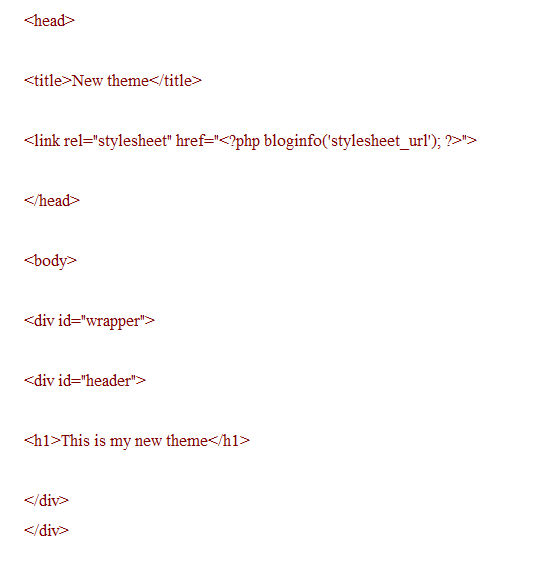 that you would want to display in the footer area of your theme. This code will help in changing the background of all the pages in your theme and will add a border surrounding your site. So, that's it for now! Hope that this post will clear out your doubts concerning creating a basic WordPress theme. Meetings are always a hot topic of discussions in the corporate world. Regardless of the fact that a lot of jokes are made in this context, at some point it becomes inevitable to conduct them. You just cannot do without them. So, you might as well get used to the idea of having to attend meetings every now and then. Know where you are headed with the meet. What is it that you intend to achieve from it? Have a solid agenda on hands to discuss in writing. Make sure the goals are written in an unambiguous manner for everyone’s clear understanding. A meeting that lacks direction is most likely to wind-up without any proper plan of action. Inform everyone of the very purpose for which the meet is being conducted. This will allow the people to come prepared with a few solutions already on their tips. People don’t remember every single detail that is discussed during the meeting. Assign someone with the job of noting down the important points and minutes of the meetings as soon as they are discussed. Don’t forget to share those minutes of the meeting with everyone afterwards. You could use mails or a project management tool to share that information with everyone. 3. Have a plan of action before wrapping things up! Make it your sworn duty to not leave the chairs of the conference room unless you have had a solid plan of action on your hands. Do have a concrete plan of action before wrapping up the meeting. The very purpose of meeting should be justified. Ask yourself - were you able to accomplish whatever it was that you intended to from the session in the first place? If not, you might have to conduct one more meeting. Unless you can afford to do that, try to get that done in the very first meet. Maybe you want to discuss the results of a campaign. Maybe you want to discuss how to improve things. But, do you have enough information and solid facts to back up your suggestions/complains? If you don’t, it’s quite likely that the meet will be nothing more than a gossip session. People need solid facts to act on and use as a reference point to tweak their efforts. Don’t just shoot arrows in the air blindly. Use hard facts such as reports from the campaign to support your views. You should listen twice as much as you talk. Reason? You get to know different people’s perspective on the subject. You get to see things in light that you couldn't see all on your own. Let everyone jump in and be a part of the discussion. The most successful meetings are those where everybody gets equal participation because then teams are able to come up with several different ways to accomplish the same goal. Therefore, as someone who has to conduct the meetings, start developing all the traits of a good listener. How much time you think the meet should take? To avoid time wastage you would need to set a limit to how long the meet can be stretched, and try to stick to it. You allocate time limit to every other task, then why not do the same for meetings as well? Try to stick to the lower limit. The practice will save you from rambling unnecessarily or going off topic. Different people may be working according to different timelines. Be sure to first discuss with everybody in advance about the time that everybody feels comfortable with. 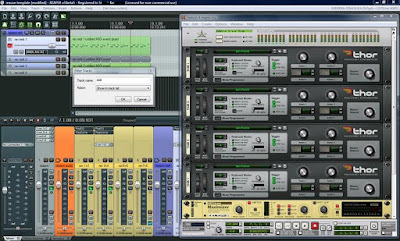 You would not want to interrupt anybody’s flow of work. See to the fact that whatever the decision is regarding the timing, it is a unanimous one. One advantage to this practice is that no one will be able to make excuses for coming late. You can start the meeting on time and finish it within the dedicated time frame. You could keep questioning all the failures and what they happened in the first place. This is not to say that you don’t discuss failures. Sure you should do. But don’t keep the focus of meet on discussing why the problems happened. Get to the root of the problem instead of complaining about them and then move towards finding the solution. So, do you promise to make your meetings more productive? Are you ready to make the above-mentioned changes in your work style? Do share your thoughts with us! Invoicing is not the core function of any business. Most businesses don’t take the invoicing process too seriously. Many businesses send invoices that are late and others send invoices that are full of errors. Some small business owners and solopreneurs even admit that they hate invoicing. Is invoicing really a hindrance to business? Not exactly. Invoicing is, in fact one of the key processes to run and grow a successful business. Here are 5 reasons, a business should take invoicing seriously. Cash is the most important aspect for the survival and growth of a business. If the business is not receiving on-time payments from clients, it won’t be able to meet basic expenditures like salary and taxation etc. Sending invoices in a timely manner, ensures that the clients are paying up on time. One can add a late fee to invoices to deter clients from paying late. Online solutions help in sending out automatic payment reminders. One can also add a due date on the invoice, to ensure that the client is paying within the specified credit period. These are useful in hastening the payment cycle of the business. Maintaining healthy client relationships is at the heart of every business. Managing the business communication effectively, helps in retaining clients and building better relationships. Sending out invoices in a timely manner and ensuring that all kinds of client queries are resolved, is an essential. The process also includes, sharing of estimates and getting them approved from the client. Management of the complete business communication cycle is crucial for client retention and satisfaction. Many businesses end up sending invoices that are full of errors. This is big a reason for worry as errors lead to disputed invoices and invoice deductions. Having an invoicing process that ensures that each and every invoice sent is error free, is very important to realize full payments for the invoices. Keeping a record of all the business activities is extremely important for better financial management. Proper invoicing ensures that all the past invoices can be tracked with ease. This helps in analysing the periodic sales and revenue, easily. Financial analysis helps the business owner to forecast future business outcome and plan the course of action, accordingly. If the sales and revenue targets are not being met, the reason can be found out and appropriate action can be taken. Similarly the payment cycle and invoice ageing can be effectively analyzed to ensure all the clients are making timely payments. A growing business must come forth as a professional one. Sending out professional and descriptive invoices helps the client understand the details of the transaction clearly. Mentioning the terms and conditions on the invoice, helps in ensuring that each and every business deal is a transparent one. Adding brand identity to invoices helps in improving the brand awareness and brand recall for the business. An invoice is one of the most crucial documents for every business. A business must take each and every aspect of an invoice seriously and thus ensure better business outcome. Delegating the process to specialized teams with appropriate accountability is equally important.